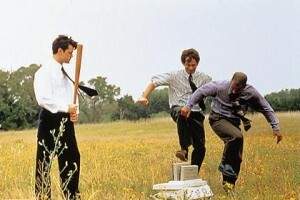 Green Printer Blog » Poll: Xerox’s self-erasing paper – Friend or foe? Poll: Xerox’s self-erasing paper – Friend or foe? Hot off the press, Treehugger readers are in a heated debate (most were against the innovation) over a handfull of XEROX researchers who looked at the challenge of sending good (read: totally reusable and or ready to be recycled paper) and came up with paper that self-erases within 24 hours and can then be re-used. Paper that self-erases in 24 hours – earth (and office) friend or foe? WIRED NextFest is taking place in Chicago’s Millenium Park between Saturday, September 27 and Sunday, October 12. It is free and open to the public. What a useless innovation. You print so as to keep a hard copy with you. What is the use of printing if it will get erased within 24 hrs. Yes I agree a silly invention, but products Xerox do have that stands out is the Xerox Solid ink printers. One of the most environmentally friendly printers on the market today. Using just solid ink blocks and one maintenance kit that you can return to Xerox for recycling free of charge here in the UK. There are no drums, transfer belt and fuser units used in the printer.